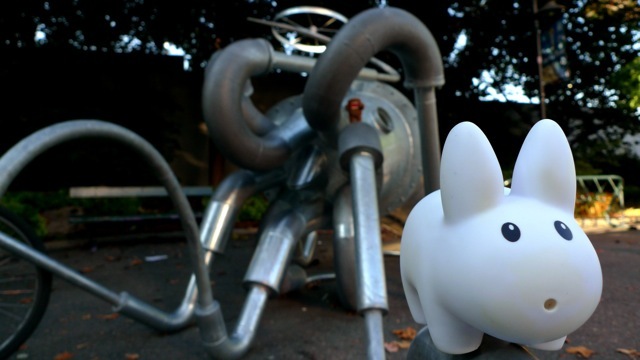 Year of the Labbit: More 8 Legged Freaks! 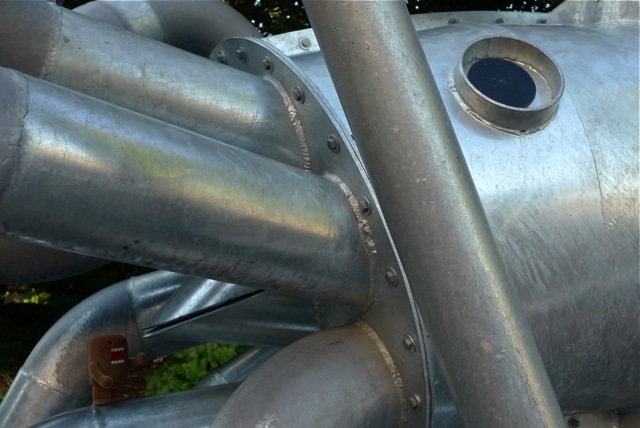 Seems like Seattle Center is just overrun with 8 legged freaks. First there were the two Harvestmen on top of the Armory, then Pipkin almost got caught in a metal spider web while walking around Seattle Center. 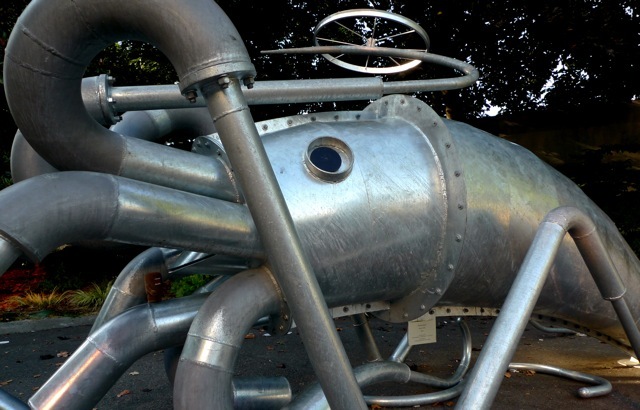 Now there's this cephalopod by the bike racks. Pipkin went running away as fast as his labbit legs could take him. Domo stayed back and tried to reason with the beast. As it turns out, you are what you eat, and this guy's not interested in labbit or...whatever Domo is (a walking, talking ice cream sandwich?). He's into the metal from bikes, and he enjoys your meaty 3 speed cruisers, the simplistic single-gear, no-brakes fixie, to the fully tricked out, my-wheels-cost-more-than-your-car tri bikes. He'll eat them all (but spit out the rubber tires). So they're in luck. There will be no eating of labbits or screaming ice cream sandwich monsters today!